November 13, 2012 - The saga of 787 outsourcing at The Boeing Company turned a new chapter today as the aerospace giant moved forward with plans to send non-Boeing temporary pilots to provide flight crew training. For more than 50 years, Boeing flight crew training has only been provided by full-time, experienced Boeing pilots. According to an internal Boeing announcement, flight crews at Qatar Airways and LAN Airlines are scheduled to be the first Boeing customers to receive flight crew training from temporary, contract pilots. The temporary pilots have little of the advanced training required to become, and maintain qualification as, a full-time Boeing pilot, according to the Society of Professional Engineering Employees in Aerospace (SPEEA), IFPTE Local 2001, which represents the full-time pilots who belong to the Airplane Manufacturing Pilots Association (AMPA). In some cases, the temp pilots have less than one hour at the controls of the 787, according to the union. “This means these ‘instructor pilots’ are ‘training’ Qatar and LAN pilots who have orders of magnitude more actual flight time and experience in the 787 than they do,” said Ray Goforth, executive director of SPEEA. In August, AMPA pilots unanimously voted ‘No Confidence’ in management at Boeing Training & Flight Services in an effort to raise attention and alert airplane customers to the scheme to substitute temp pilots for the genuine Boeing pilots customers paid for. In addition to full-time instructor pilot staff, Boeing purchases instructor pilot services through a third-party vendor. One group, known as purchased service instructor pilots (PSIPs), provides ground school and simulator training. Another group, known as purchased service pilots (PSPs), provides training and line assist to customers in their airplanes. Boeing has engaged the services of purchased service instructor pilots for more than 10 years. However the use of PSPs to provide line assist is new. There have been no customer complaints on this issue. Purchased service instructor pilots have the same qualifications as full-time Boeing pilots. Any pilots dispatched to train or fly with our customers are of the same high quality, receive the same training and ongoing courses and meet the same standards and qualifications regardless of whether they are full time or contractor. All purchased service instructors who will conduct 787 training and line assist flying have completed training in the airplane. They received the same “base” training as full time employees, which included touch and go’s and instrument approaches in airplane ZA005 at Moses Lake, Wash. The purchased service pilots come from a primarily 777 airline training background. 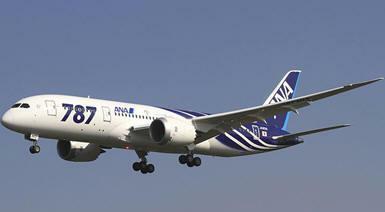 This is significant because the 787 and 777 share a common type rating. Many of the contract pilots are former training Captains for major international airlines that are Boeing airline customers, including former heads of 777 training. The average number of flight hours for the purchased service pilots is more than 16,000 hours per pilot. The practice of engaging purchased service instructor pilots decreases the number of layoffs during a downturn or fluctuations in demand for training. It makes good business sense. Boeing has expanded the use of purchased service instructor pilots to provide greater flexibility to meet the customer’s needs and to deliver airplanes to them as soon as possible. Recently, for example, Boeing is experiencing a need for a number of additional instructor pilots to train 787 customers in a short span of time. Engaging purchased service instructor pilots allows Boeing to manage spikes in demand without hiring employees and later having to lay them off. SPEEA says that unlike Boeing instructor pilots, the contract pilots did not participate in the flight test and certification program of the 787. Actually, in September 2012, Boeing held two 787 Flight Test summits to level-set the entire team on the airplane’s development and lessons learned. It was considered a “Masters Class” on the 787. All “contract” and full-time pilots attended. The program included presentations by 787 flight test pilots, the 787 lead technical pilot and the senior 787 Systems Engineer. A detailed overview of all of the airplane systems was also presented.